Citrix Systems has overhauled its flagship presentation server product, promising IT operators higher performance and lower costs, while improving the end-user experience. The company this week announced Citrix XenApp 5, the next generation of its application virtualization solution. The new version of XenApp, formerly the Citrix Presentation Server, combines with Citrix XenServer to create an "end-to-end" solution that spans servers, applications, and desktops. Companies using the new combined product can centralize applications in their datacenter and deliver them as on-demand services to both physical and virtual desktops. Virtualization, while not a new technology, has currently been gaining a huge head of steam, as companies realize the deployment, maintenance, and security benefits of central control across nearly all applications, while also providing businesses with agile and flexible solutions. In my thinking, virtualization is allowing the best of the old (central command and control) with the new (user flexibility and ease of innovation). 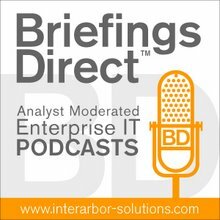 Virtualizing broadly places more emphasis on the datacenter and less on the client, without the end user even knowing it. What's more, from a productivity standpoint, the end users gain by having app and OS updates and fixes done easier and faster (fewer help desk calls and waits), while operators can excercise the security constraints they need (data stays on the server), and developers need only target the server deployments (local processing is over-rated). And, of course, virtualization far better aligns IT resources supply with demand, removing wasted utilization capacity while allowing for more flexibility in raming up or down on specific applications or data demands. Works for me. Currently, most IT operations are faced with managing myriad Windows-based applications, and are hampered by the demands of installing, patching, updating, and removing those applications. Many users have simplified the task and lowered cost by using server-based deployment. We'll see a lot more of this, and that includes more uptake in the use of desktop virtualization, but that's another topic for another day. According to Fort Lauderdale, Fla.-based Citrix, version 5 of XenApp, which includes more than 50 major enhancements, can improve application start-up time by a factor of 10 and reduces applications preparation and maintenance by 25 percent. Of the major new features, I like the support for more Windows apps and compatibility with Microsoft AppV (formerly Softgrid), the HTTP streaming support, the IPV6 support, as well as the improved performance monitoring and load balancing. Also very nice is the "inter-isolation communication," which allows each app to be isolated and also aggregrated as if installed locally. Add to that the ability of the apps to communicate locally, such as cut and paste. Think of it as OLE for the virtualized app set (finally). The acquisition also sets the stage for Citrix to move boldly into the desktop as a service business, from the applications serving side of things. We’ve already seen the provider space for desktops as a service heat up with the recent arrival of venture-backed Desktone. One has to wonder whether Citrix will protect Windows by virtualizing the desktop competition, or threaten Windows by the reverse. The new XenApp 5 release is being featured on Sept. 9 as part of a global, online launch event called, Citrix Delivery Center Live! This virtual event is the first in a series that will take place in the second half of 2008 highlighting the entire Citrix Delivery Center product family. This debut event features presentations, chat sessions and online demos from Citrix, as well as participation from key partners such as Microsoft and Intel. I'm also looking forward to attending Citrix's annual analyst conference in Phoenix on Sept. 9. XenApp 5, which runs on the Microsoft Windows Server platform, leverages all the enhancements in Windows Server 2008 and fully supports Windows Server 2003. This enables existing Windows Server 2003 customers to immediately deploy Windows Server 2008 into their existing XenApp environments in any mix. Standalone pricing for client-side application streaming and virtualization begins as low as $60 per CCU. TCO for virtualized apps will over time continue to fall, a nice effect for all concerned.